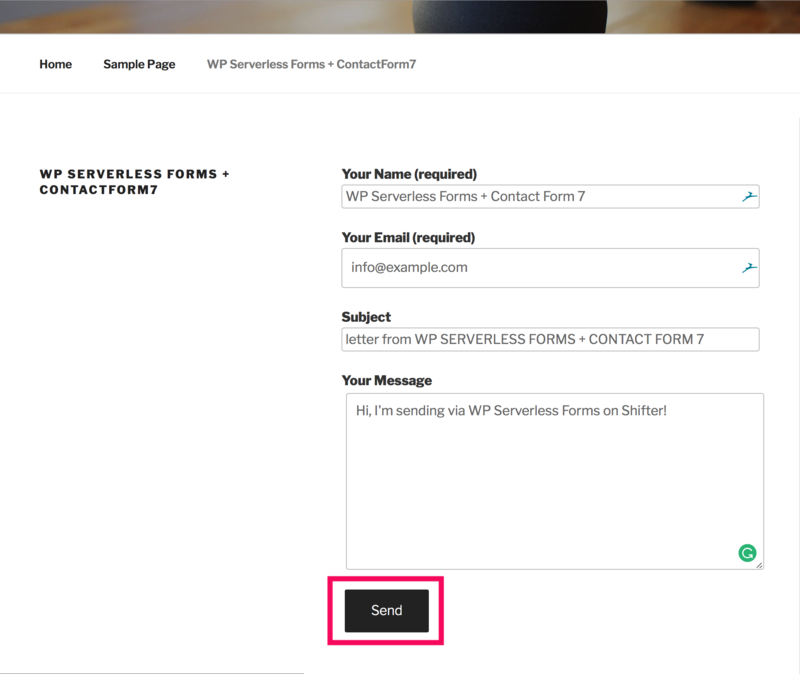 WP Serverless Forms is designed to replace PHP form actions with API and WebHook driven services such IFTTT, Basin, FormKeep, Formspree, custom Endpoints and more. To get started create a Basin account. They offer a free starter plan for core features that would cover most users needs. Once you have an account and verified your email address create you first form endpoint. This endpoint will generate a unique URL. 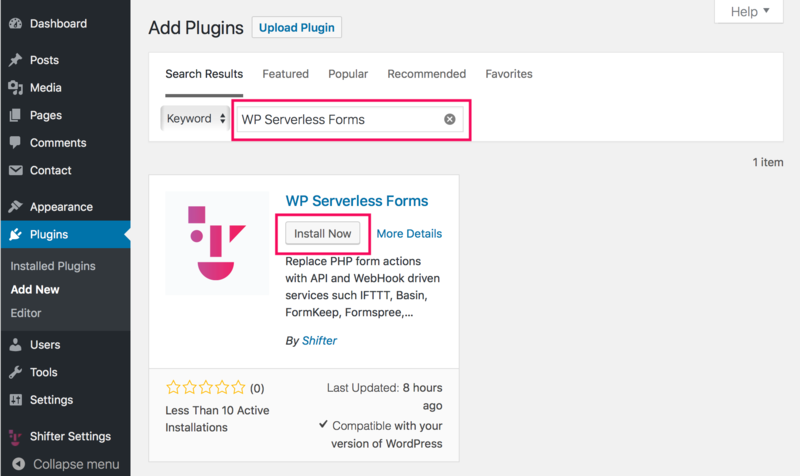 Next, download, install and activate WP Serverless Forms. 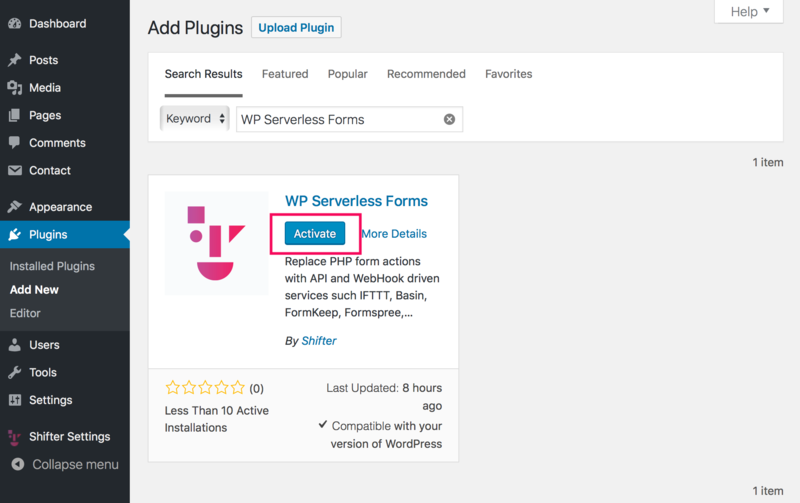 The options for this page are under Settings admin menu labeled, WP Serverless Forms. There you'll see an option for a new HTTP Endpoint. This is the URL that was generated by the 3rd party provider such as Basin. 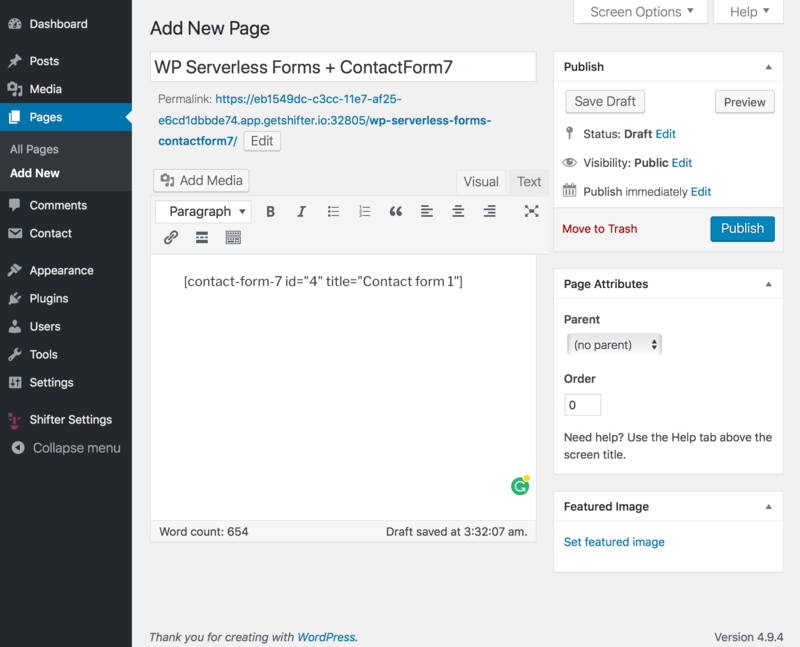 WP Serverless Forms is designed to work with minimal config. There are no settings or changes you need to make to Contact Form 7 or your existing forms, just install the WP SLS Forms plugin, add your Endpoint and that's it. 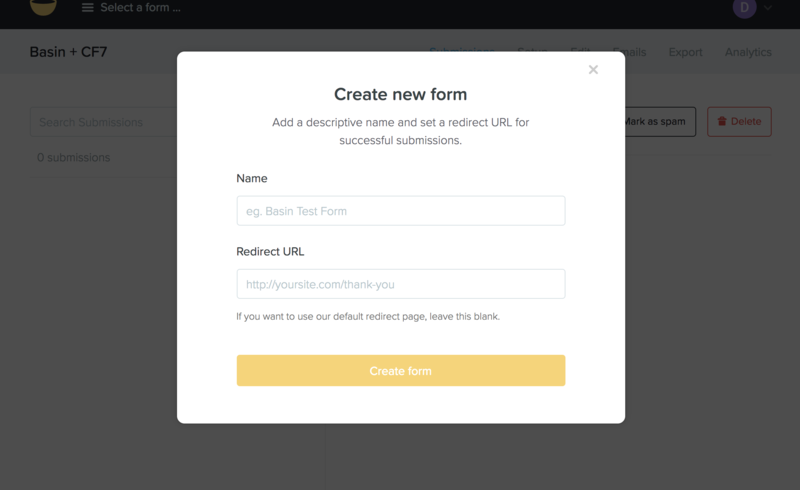 While active, WP Serverless forms will replace the Contact Form 7 action URL with the Basin (or URL) of your choice. When users submit forms data is sent to those endpoints. 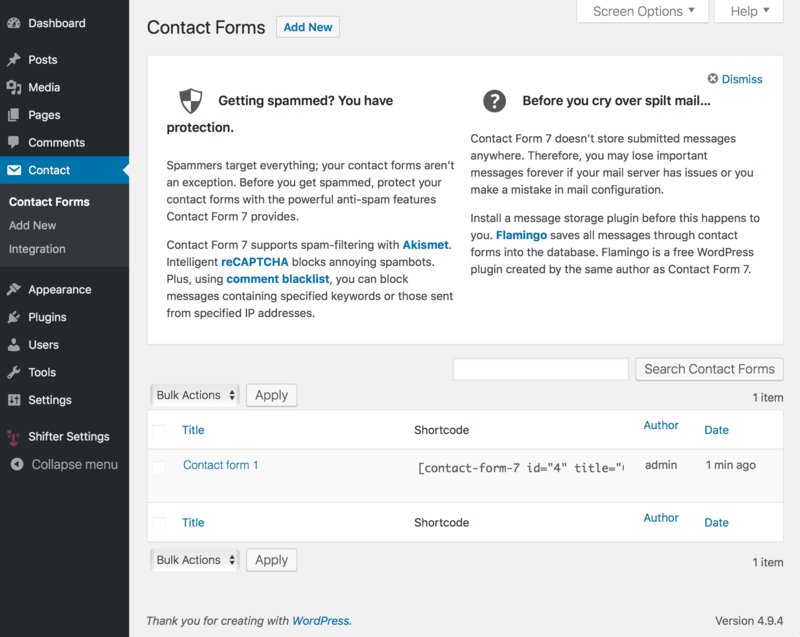 We use default contact form of Contact Form 7 for this demo. You can add new one, if you want. 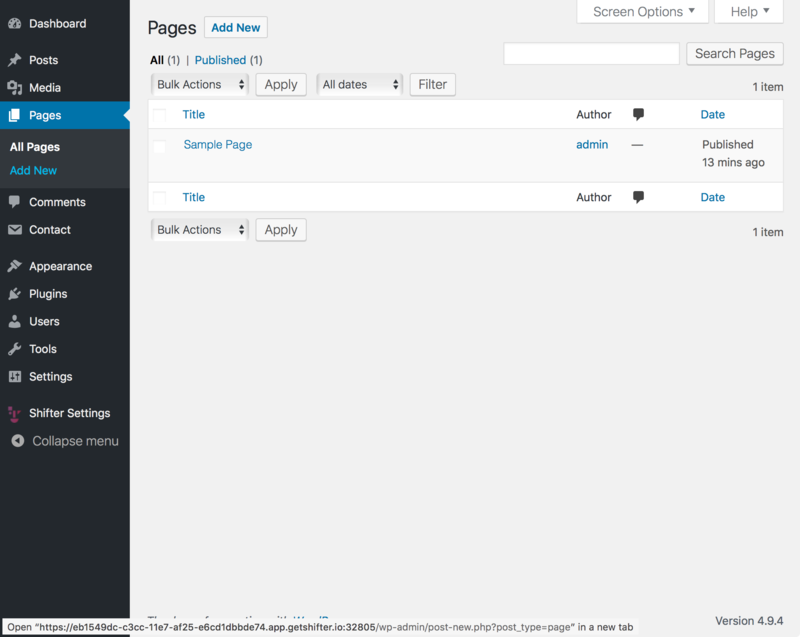 For this demo, we are creating a new page for our form. If you are new to this check out our, Creating an Artifact artificial for more info. 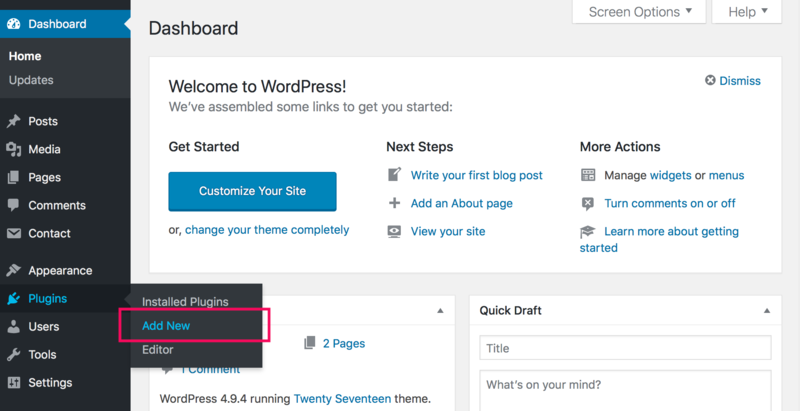 This feature is also available from the WordPress Dashboard now too! Complete the form with some test content, click send and away we go. 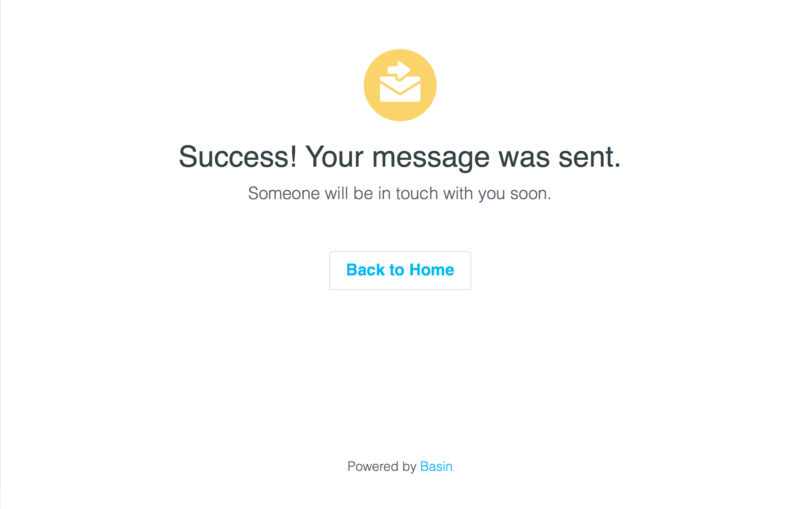 Your message and info should be on it's way to Basin or the HTTP Endpoint of your choosing. If successful, you'll be redirected to thank you page. A custom thank you page and redirect is available with some providers and it's a premium feature on Basin form their paid plans. 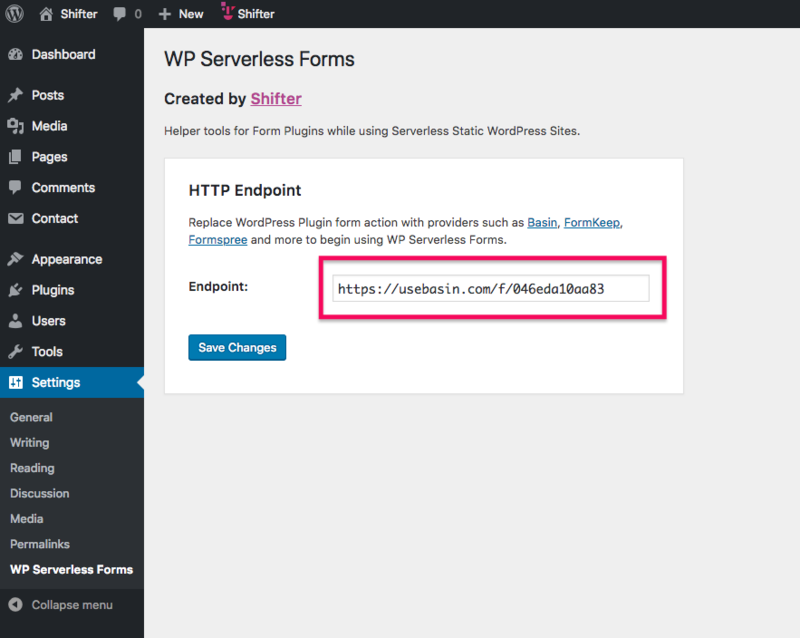 Try WP Serverless Forms today on Shifter and let us know what you think! 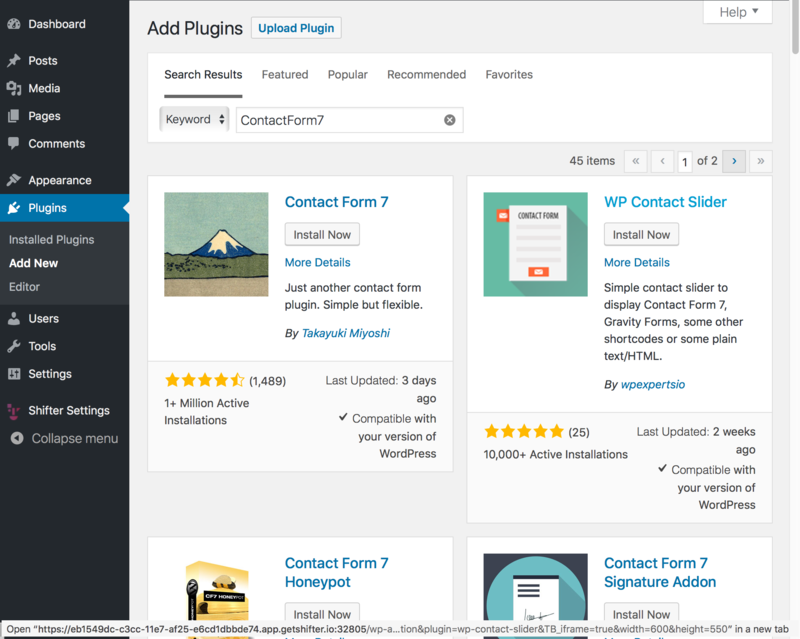 This is an open source project available on Github and available now directly from the WordPress Plugins Directory.